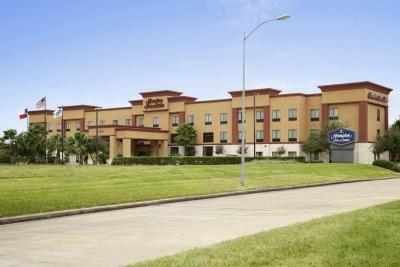 Lock in a great price for Hampton Inn & Suites Houston-Westchase – rated 8.7 by recent guests! Clean, modern facility. 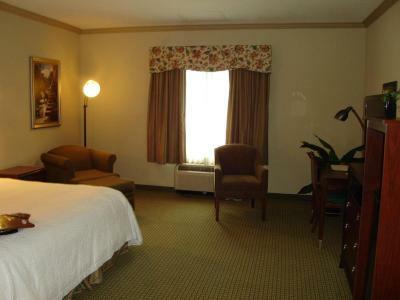 Comfortable bed and sofa pull out in queen studio suite. White linens didn't have stains or weird smells. Hotel had security outside when I arrived at night. The front desk staff was friendly and accommodating. Everything was so clean! I loved that most of all. 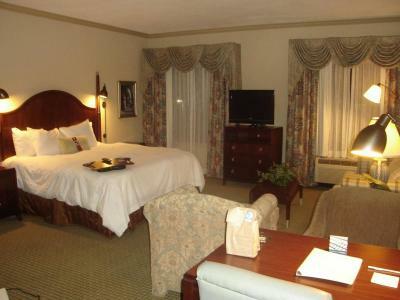 I also liked that the room was huge, plenty of space for my 5 person family. There are several mirrors, and huge one that serves as a closet door. This made getting readt very easy! Complimentary wifi was an added bonus and REAL breakfast was a nice change from the grab and go options many chains have opted for. 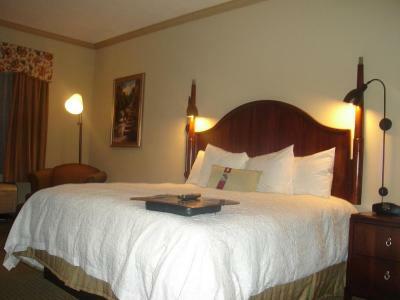 The down comforters on the beds were fluffy and very warm. The pillows were soft and felt fantastic. The cleaning staff was friendly and professional. Honestly the room was super clean. They pay very close attention to detail. Oh and the location is wonderful! Close to everything but secluded enough that you don't have to slam on your brakes in traffic to make sure you can find the hotel. We felt very safe and comfortable. Everything was great! staff was even better. Breakfast was delicious and nothing was forgotten. Great breakfast! Friendly staff..Bed super comfortable, Air blew cold. Buena atención, conforme con el desayuno y el trato del personal atento. La comodidad de las camas, vienes a trabajar y esperas tener un buen descanso cosa que pocas veces pasa porque o el colchón esta muy viejo y en mal estado o las almohadas no son tan comodas o grandes como uno quisiera, peor en este Hotel la verdad es que la cama es una exquisites. 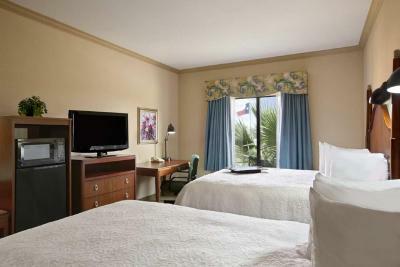 Hampton Inn & Suites Houston-Westchase This rating is a reflection of how the property compares to the industry standard when it comes to price, facilities and services available. It's based on a self-evaluation by the property. Use this rating to help choose your stay! Only a short drive from the Hampton Inn and Suites Houston-Westchase is the Galleria Mall shopping center, the San Jacinto Monument and battleground and the Museum of Fine Arts. With nearby freeway access, the NASA Johnson Space Center and Rice University are also easily accessible. 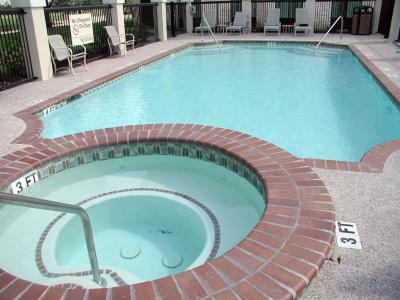 The Houston-Westchase Hampton Inn and Suites provides guests with a free daily hot breakfast as well as an on-site fitness center complete with a swimming pool. 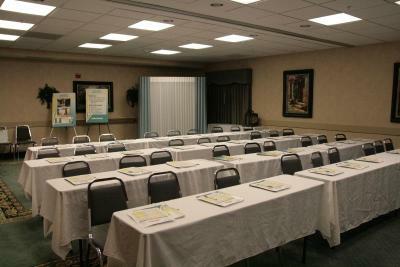 Guests can also enjoy the on-site business center. 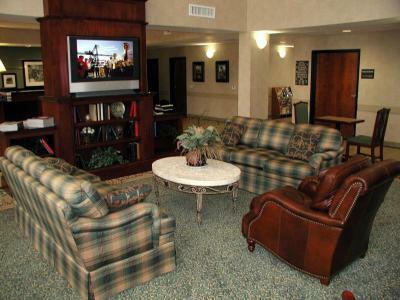 When would you like to stay at Hampton Inn & Suites Houston-Westchase? 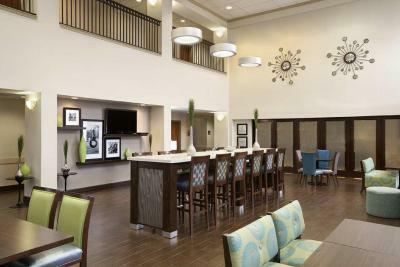 House Rules Hampton Inn & Suites Houston-Westchase takes special requests – add in the next step! Hampton Inn &amp; Suites Houston-Westchase accepts these cards and reserves the right to temporarily hold an amount prior to arrival. Hampton Inn & Suites Houston-Westchase accepts these cards and reserves the right to temporarily hold an amount prior to arrival. Bathtub in room had leaking faucet, hot breakfast was rubbery and without taste. Carpet had red stains (marker maybe?) and staff were never at the front desk. The menu was poorly made, and the waffle mix was too thick. The furniture and carpet was a little stained.water in the bathroom dripped the entire time of stay. Reported it nothing happened. For us it was too far to drive, but that was my fault, picked the wrong area.